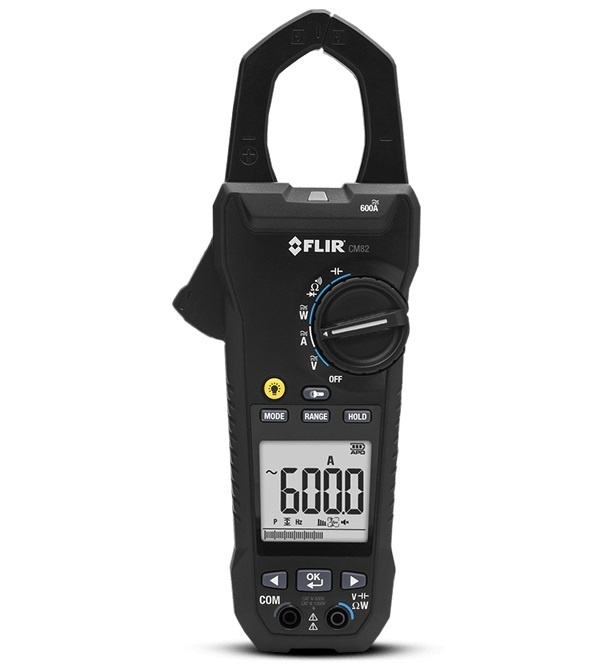 The FLIR CM82 is an industrial-grade power clamp meter engineered with advanced power analysis, harmonics measurements, and variable frequency drive (VFD) filtering functions to meet the needs of electrical troubleshooters. 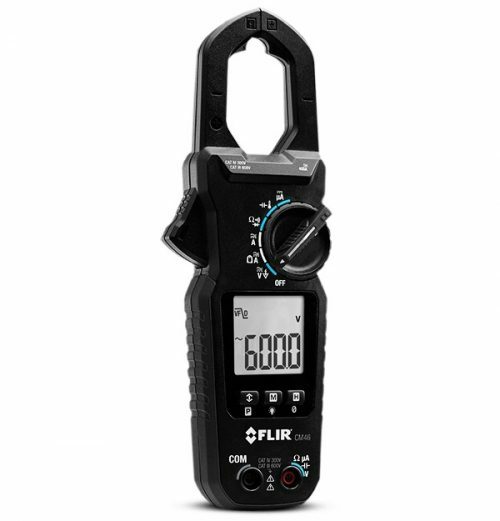 The meter features a backlit display screen with large, easy-to-read digits, an analog bargraph, and powerful work lights bright enough to serve as a primary work light. 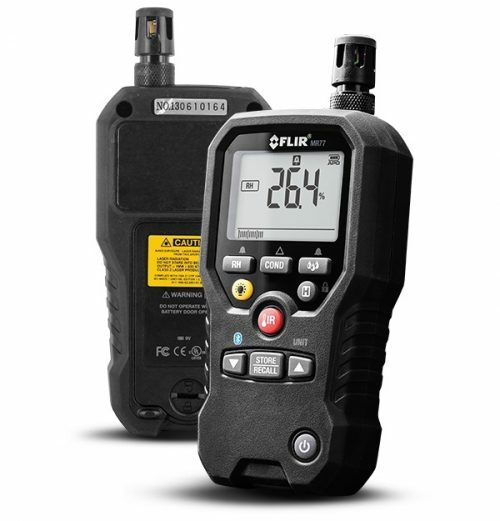 Also tested to withstand a 2m drop, the CM82 has dependable functionality that’s vital to professionals. Provides VFD Mode while working on VFD-controlled equipment, and advanced power efficiency and harmonics measurements enable system-level performance analysis. 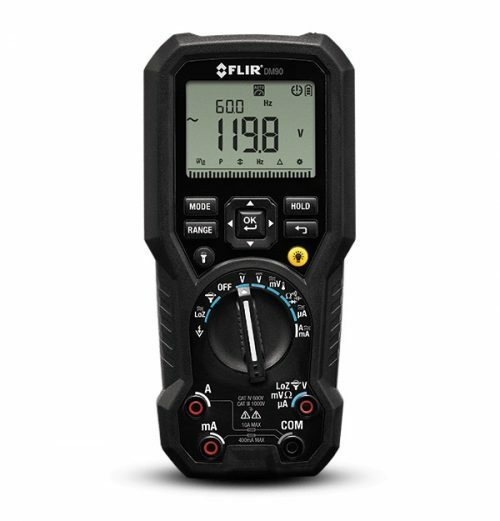 Features Inrush mode to capture AC Current spikes during start-up, and phase-rotation testing to ensure motor and power source alignment. 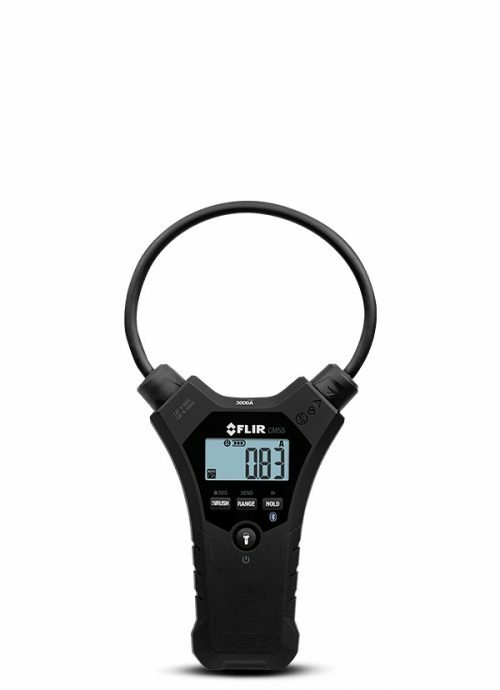 Features powerful LED lights that can serve as a primary work light and assist with clamping. Professional online training to teach you how to efficiently use the product.